Throughout the Bible we read that there are many different names attributed to God. Each describes a different aspect of His character and reveals - in as much as it is possible for humanity to understand the divine - something about His nature and the way in which He desires to interact with us. Above all, the names of God show us that there is an aspect of God that meets our needs in every area of our lives. When we call for help, God has an answer - and that answer is Himself. If we are troubled and stressed out by life, He is our Peace. If we are embattled and oppressed, He is our Banner - the one who not only watches over us, but actively goes into battle on our behalf. Stuart Bell takes us on a journey through these and a number of God's other Scriptural names, allowing the truths contained within them to reveal all that God desires to be and do for us in this season. The Name by Stuart Bell was published by River Publishing in September 2011 and is our 14911th best seller. The ISBN for The Name is 9781908393104. 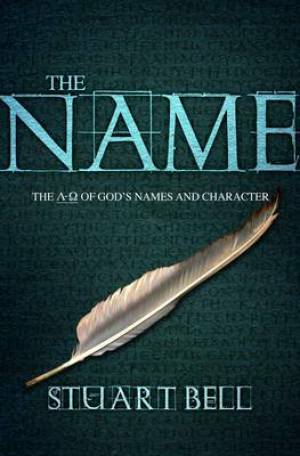 This book is about eight of the names of God that we find in the Bible. In each chapter the author carefully unfolds the meaning of the name by looking at its meaning in the original language and then by looking at the use of the name in a passage of scripture. The book begins with a fascinating A to Z of all the names of God in the Bible. Pastor Bell writes clearly, using illustrations from his own life and the lives of others. The application is pastoral, aimed at helping Christians grow in their knowledge and faith. The author is a charismatic and this becomes especially apparent at the end of the book when discussing healing, baptism of the Spirit and praying in the name of Jesus. In these chapters he makes assertions that many Christians will have difficulty with: for instance: that sickness never comes from God; that (physical) healing is central to the Gospel; that the reason more lame people are not walking today is unbelief. Sadly, he has not taken time to understand the cessationist position taken by many evangelical Christians, calling them liberal theologians. A cessationist believes that the gift of healing has ceased, not the possibility of healing. The clearest instructions about healing today (James 5: 13-16) are completely overlooked. All this is a pity because it mars an otherwise helpful and interesting book. Got a question? No problem! Just click here to ask us about The Name.